The dash cam is a camera which is utilized for different types of vehicle. People called dash cam because it does fit on near dashboard of every vehicle like cars and trucks. A dash cam does work for safety. Think, if you drive alone and sometimes you get attacked by a thief, in this time dash cam will capture their face or something else. The dash cams major safety is evidence of insurance fraud case. Many driver claims in Russia they have lost their job in these cases. If you have a dash cam in your vehicle, you don’t have to worry about your vehicle safety or lost your job because your dash cam will capture everything alongside. How does work a dash cam? Well, The dash cam does work with capturing a lot of things that are happened in alongside your vehicle. If you installed your dash cam in your dashboard, it will capture easily in front of your car. To make sure you choose the best front and rear dash cam, these are most important thing to capturing in front and back of your vehicle. These 5 things are most important to choose the best dash cam. There is too many dash cam available on the market, but you have to consider which one is perfect for your car. Below are these things essential to choose when you buy a dash cam. 1. Video Quality: The video quality is key to every dash cam. If your dash cam capture a video clearly then it should be very helpful to identify guilty. 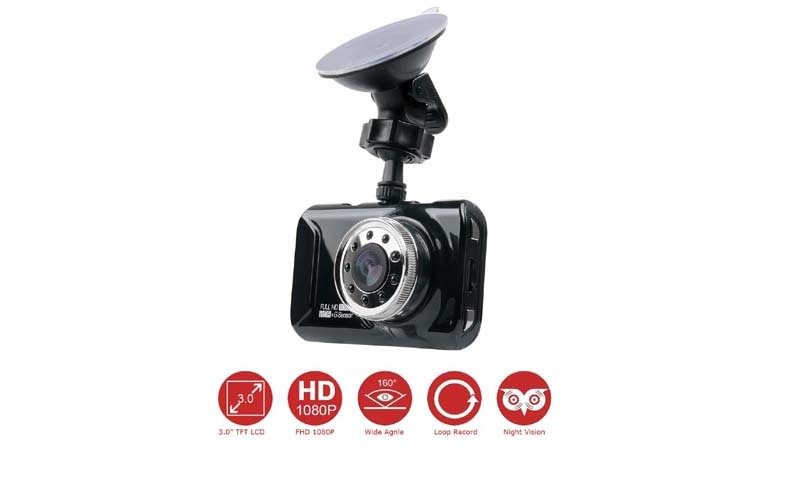 For the best video quality dash cam, You have to choose which dash cam have FHD 1920x1080p 60fps video resolution. 2. Camera size: In the united states has some restricted area to use a dash cam in a car. In these regions, you have to use your dash cam secretly. So you must have to choose a dash cam which one is small size and perfectly fits behind mirror dashboard. 3. Storage Capacity: One of the important thing to consider when you buy a dash cam. There has many dash cam built in low storage capacity which is not good for you. If you choose large storage capacity dash cam, it would be perfect for capturing a long time. 4. GPS and Wifi Feature: You will be glad to know that the best dash cam has built with GPS and wifi. Thinking why you need GPS and wifi featured dash cam? Well, maybe You are traveling on a road which is unknown. The GPS can help you to find your right way where your actual destination. The wifi feature can help you to transfer your data to your phone. For these features, you have to use an app on your smartphone. 5. Parking Mode: If another vehicle is trying to damage your car, your dash cam will capture number plate of that vehicle when parking mode enabled. Make sure you have chosen your dash cam that has built with parking mode. Many dashboard cameras haven't built with parking mode, and that dash cam only works when your vehicle engine runs. 6. Night Vision Mode: One of the most important feature to consider when buying a dash cam. The night vision mode can help to record clear videos at night. So, make sure your dash cam has built-in with night vision. So far, you should consider these major features but, I know you are feeling tired to find the best dash cam in these things. I would like to suggest you read reviews on Dash Cam Geek there has nicely described every dash cam reviews with all of these features included.